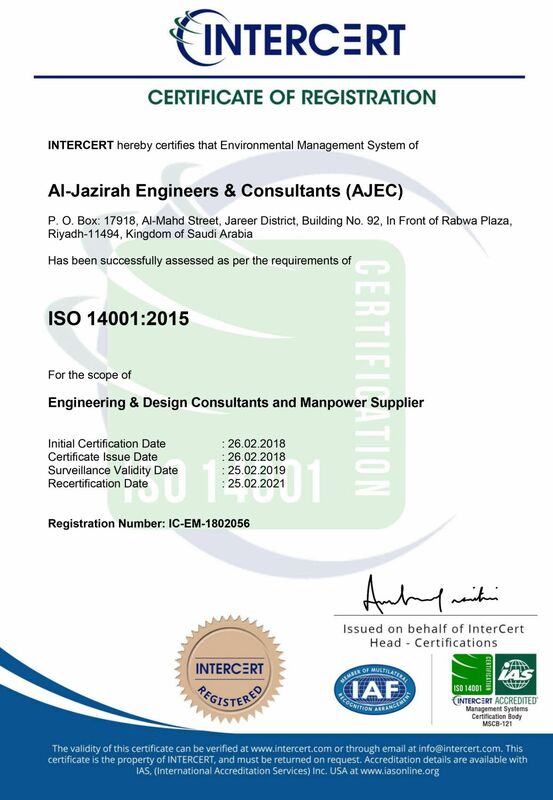 AJEC management is committed to meet the requirement of customers through implementation of sound Quality Management System. 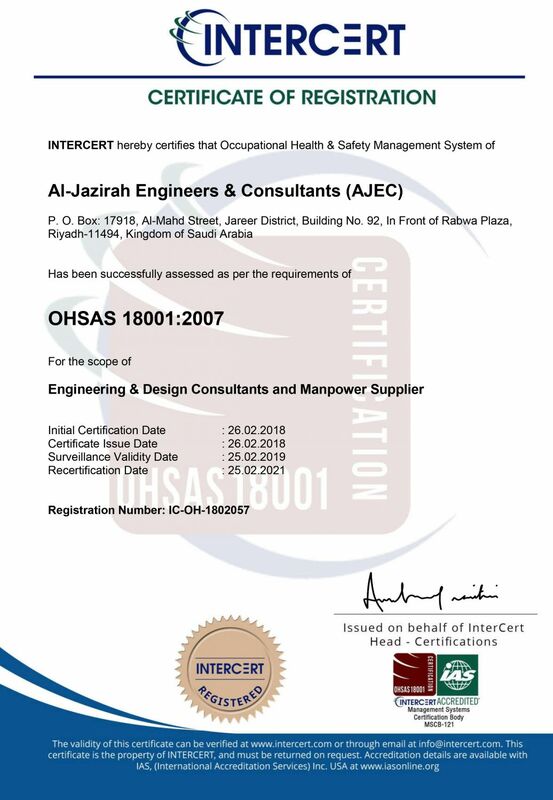 However, the most important and valuable recognition of AJEC abilities comes from its world-class international certification. 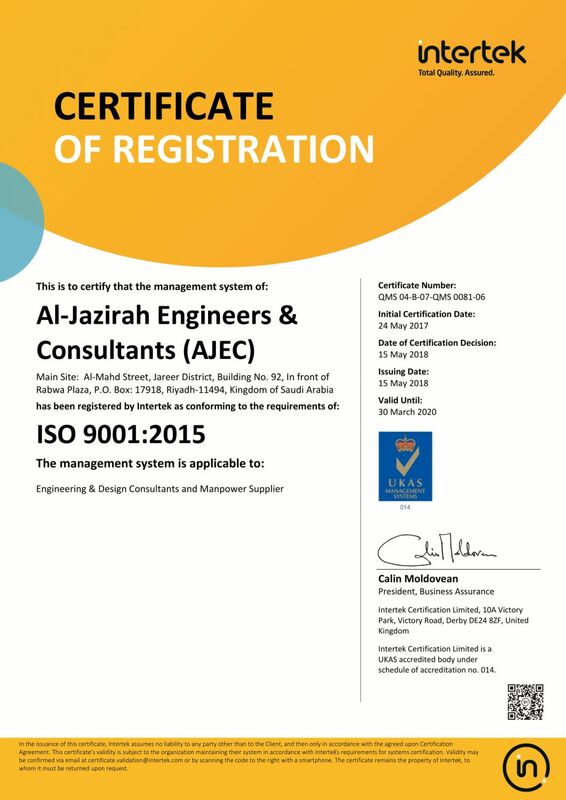 AJEC has been awarded prestigious certification - ISO 9001:2000. 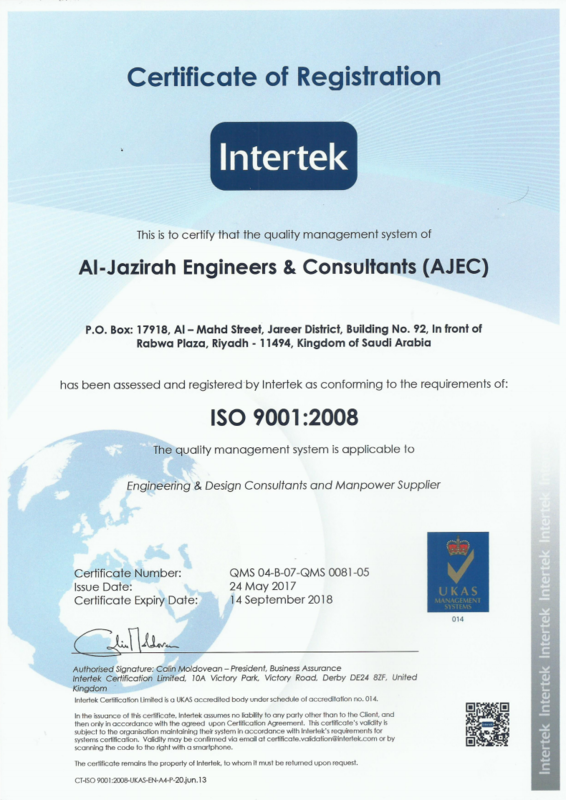 AJEC has consistently set new standards of excellence by benchmarking its processes, people and service quality in line with the world's best. Our policy is to meet the customer requirement through supply of quality services through a team of dedicated and motivated employees. We ensure a constant endeavor in our efforts for improvement of our Quality System. To ensure timely delivery of the services. To develop, Implement and improve the quality system as per ISO-9001 effectively. To meet customer requirement and obtain customer satisfaction. To train, Involve and motivate employees.